their children. Here are some of their stories. Three years ago, Josh was on the streets. 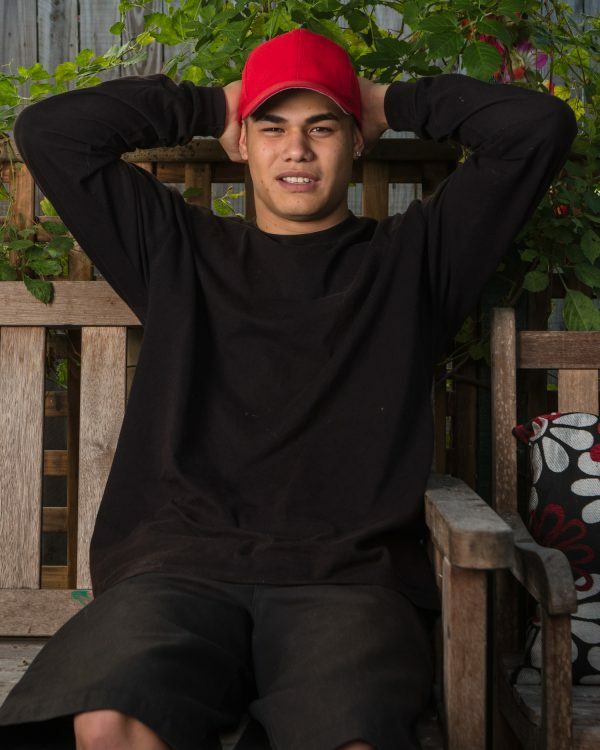 Now he is finishing Year 12, getting the qualifications he needs to become an Electrician. ‘I would probably have been locked up if I didn’t go to BYS. My attitude used to be really harsh, aggressive. I felt like I was the only one, by myself; I was trying to stick to my ground, to look after myself. The reason I left home, my dad is more of his culture. He’s a real fussy person. He told me to stay home, not go to school, and I’ve always wanted to go to school, to go study. And one day … I … went to school … Later my dad … said, ‘I spoke to all my brothers and they want me to kick you out’ … That was hard for him…so I made a choice. Everyone was … trying to disown me; so I just disowned myself from the family. I was 15. I was on the streets for almost a year, then … BYS … gave me help. I stayed at Windsor House for three months before moving to Phoenix House. At first I was real shy. I didn’t know anyone, of course … I got put in here with random people I didn’t know. I was real nervous … after a couple of months I started opening up, and made friends with people … and with the youth worker as well. They’ve always given me positivity. Never negative stuff. Nothing to put me down; they always keep me up. They gave me a lot of love and a lot of things to do. They gave me opportunities to get a white card, a blue card to go for my job, and I took the courses, got them done … they hooked me up with Centrelink … so I could get a payment ’cause I was living out of home … a roof over my head, shelter, food, a bed. I want to be a sparky … I’ll turn 18 in two months and then I’ll be working with my brother. I was 15. I was on the streets for almost a year, then ... BYS … gave me help. Do you need support from Brisbane Youth Service?